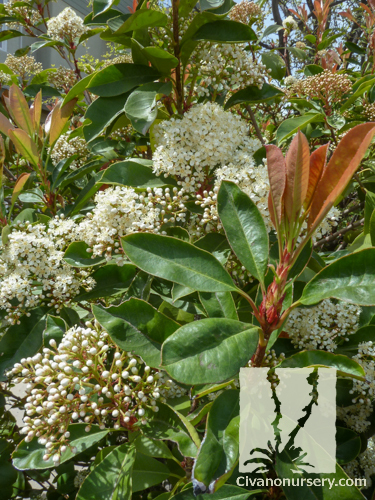 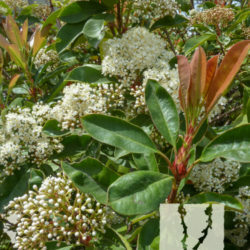 Red Tip Photinia, also known as Fraser’s Photinia, is one of the Southwest’s quintessential landscape workhorses. 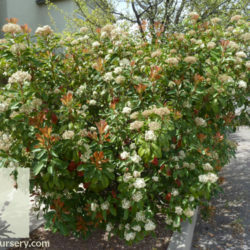 While it is most commonly used as a background, foundation, large border, or tall screen, Photinia can also be pruned into a small patio-sized tree, and it does great in large containers. 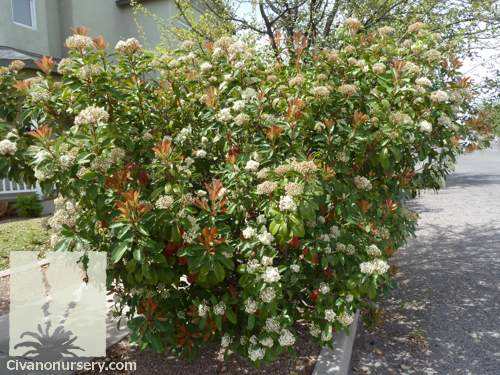 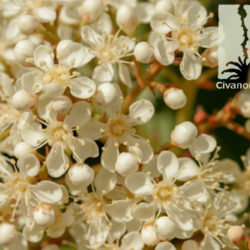 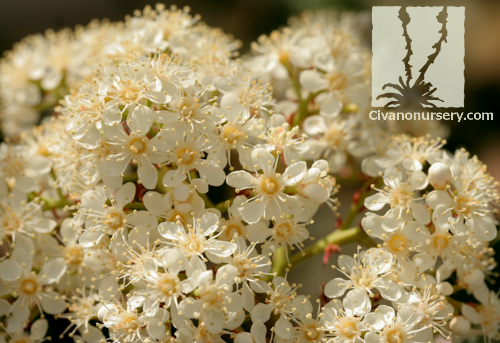 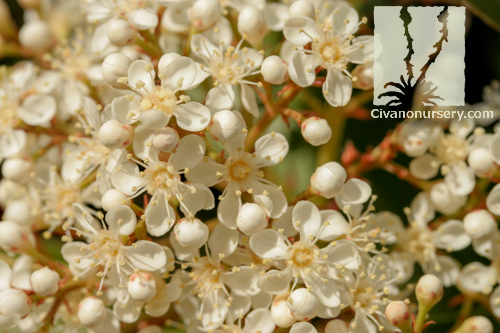 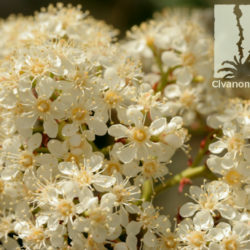 Clusters of tiny white flowers appear in spring and sometimes again in fall, but this shrub’s star feature is its dense and colorful foliage. 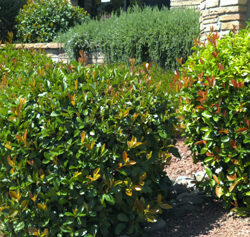 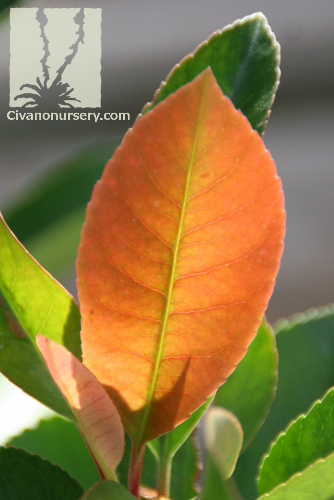 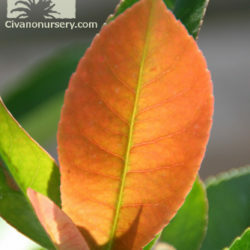 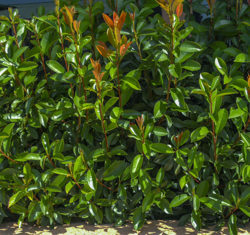 Photinia’s large, glossy leaves emerge maroon to red, and develop into a deep green color as they age. 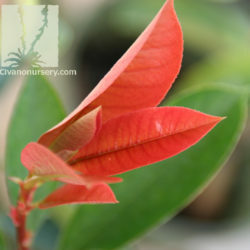 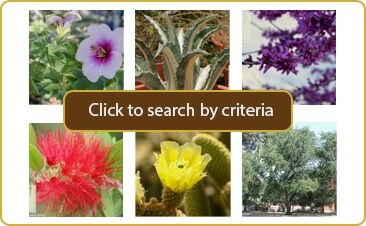 This means that the plant takes on more of a red hue after being pruned or sheared, when new leaves are coming in!